Anyways, the other day Nephew asked for pasta with broccoli. So I started making pasta with broccoli the way I usually do. But then I thought: What about adding lemon juice and lemon zest? What about adding garlic sauteed in butter? What about almost reversing the proportion broccoli to pasta? What about adding some spinach? What about a good amount of freshly grated Parmesan cheese? So I did all of these things and Nephew happily declared that this was hands down the best broccoli pasta he ever had. If you consider that he’s now 11 years old, that surely amounts to something. Cook the pasta, add broccoli, drain. Transfer to skillet, add spinach, reserved cooking water, garlic butter, and lemon juice. The Parmesan comes at the end, and you should shower the whole skillet with it. The preparation is smooth and wonderful and perfect for a weeknight dinner. The lemon adds an a nice tang, which cuts the broccoli natural blandness. While the spinach brings in a fresh flavor and helps bind it all together. This is a truly delicious pasta dish, and if you don’t trust me, trust Nephew! 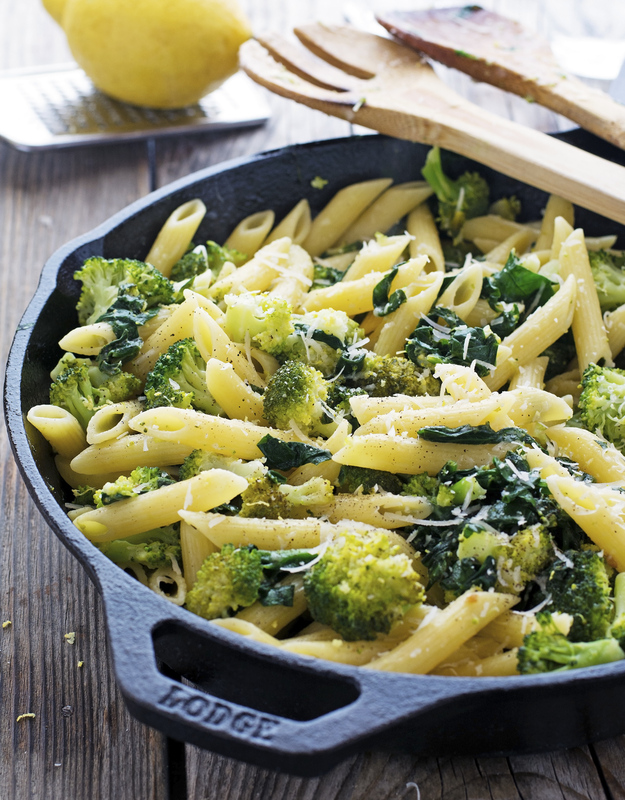 Quick Lemon Broccoli Pasta Skillet Print this recipe! Note. I used Gluten Free Garofalo Penne for this recipe, which cooks in 8 minutes when added to boiling water. If you use a pasta that cooks for a longer time adjust cooking time accordingly. 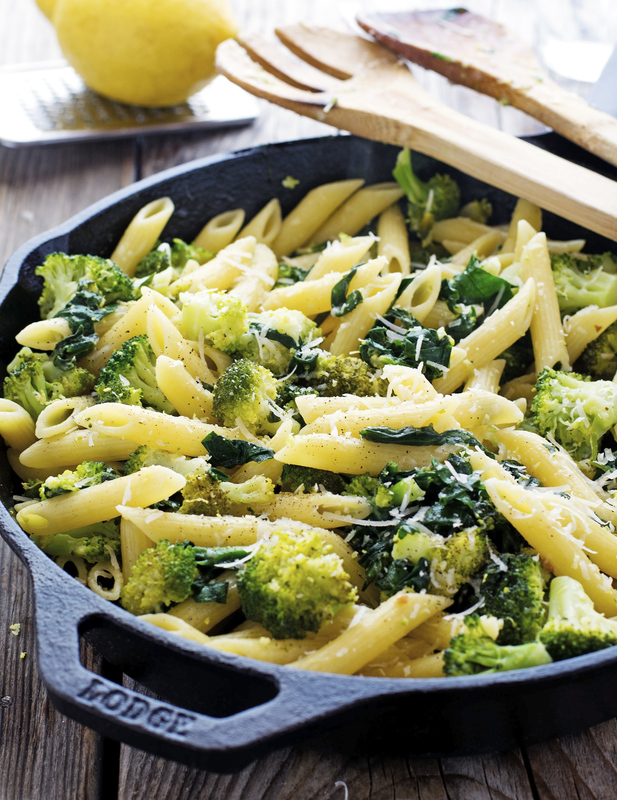 Broccoli florets should cook 3 minutes and the pasta needs to be drained slightly undercooked, as it will finish cooking in the skillet with the other ingredients. Melt 3 tablespoons of butter in a small saucepan over low heat. Add garlic and sauté for 3 to 4 minutes, until fragrant. Keep an eye on the garlic the whole time, you don’t want it to burn or it will turn bitter (use the smallest burner you have if necessary). Turn off the heat and set aside. Bring a large pot of salted water to boil. Add pasta and boil for 3 minutes. 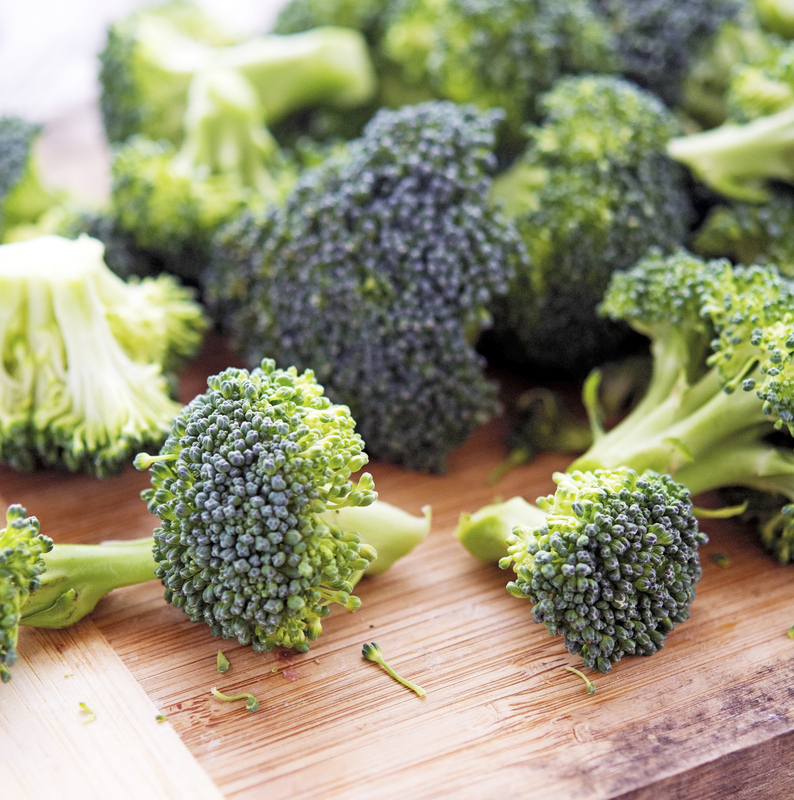 Add broccoli florets and cook for 4 minutes (leave the burner high enough to keep a rolling boil). Drain the pasta reserving ½ cup of cooking water. Heat the remaining tablespoon of butter in a large skillet over medium-high heat. Add broccoli pasta, spinach, and sauté for 1 minute or until the spinach has wilted. Add garlic butter, lemon juice, cooking water, and cook until all the liquid has evaporated. Stir in Parmesan cheese, ground black pepper, salt, and sprinkle with lemon zest. Toss to coat. Take a taste and adjust seasoning, if needed. One serving yields 465 calories, 14 grams of fat, 70 grams of carbs, and 15 grams of protein. 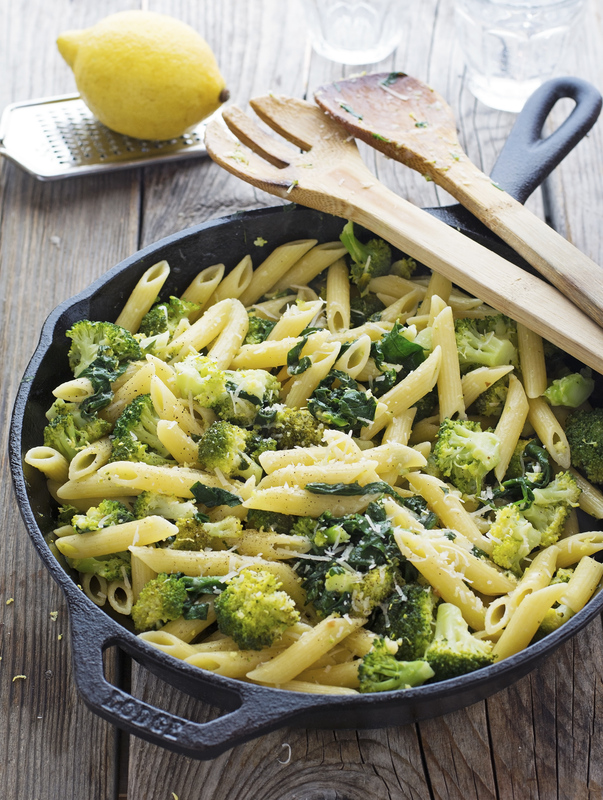 Lemon, broccoli and pasta. All of my favorite things! YUM! Perfect combination all the way around, this looks like the kind of dinner that needs to go on the weekly menu stat! I will add some anchovies to up the protein and make it a one-pot meal. This dish has all my favourite things. This was pretty tasty...just a little dry. I added olive oil when I served it. Next time I'll use a bigger pot. It was pretty crowded and hard to stir when I added the spinach. 3 stars thank you for sharing. How many serving are in this recipe? Shouldn't the ingredients read 4 tablespoons of butter?